When your own words don’t feel like enough to say sorry then these I’m sorry status and sorry messages will support you to confess or apology for your wrong doing. 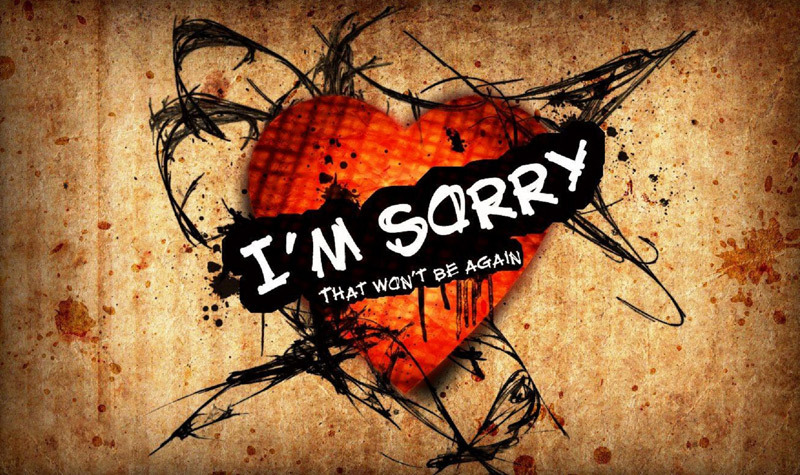 These sorry messages are very kind and heart touching to melt their mind whom you share. If you need or have some misunderstanding with others then don’t be late, pick up the best sorry messages from below and share with them to say I’m sorry. Best Sorry Status For Whatsapp. Saying sorry was the biggest strength. I hurt you but I didn’t mean to, Please forgive me! I feel bad, for making you sad. I feel guilty, for making you feel iffy. I am sorry. Grab a chance and you won’t be sorry for a might have been. I’m sorry. Sorry means nothing without the actions to back it up. Promises mean everything .. But once they are broken..sorry means nothing! I’m sorry ” means nothing if you continue to do the same wrong over and over again. Smart people always say sorry, while the stupid ones just wait for the smart one to say sorry. Forgiveness does not change the past, but it does enlarge the future. I’m sorry. Sometimes the best way to say “I’m sorry” doesn’t involve words. Do you know that forgiveness is the sweetest revenge, you should take revenge for my doing. I am sorry. It’s very easy to hurt someone & say “sorry” but it’s really difficult to get hurt & say, It’s OK. The word sorry has a deep meaning. A one sorry can make peace in all people. All I can say is that I was crazy. I am madly, insanely in love with you and that causes me to do stupid things. I’m repenting for my mistakes, & crying out in pain. But if you don’t forgive me, everything will be in vain. I’m sorry. Feel my heart and you will feel it beating “I love you and I am sorry” with each beat. My apology to you is like a selfie – brutally honest and straight in your face. Please forgive me and stop being angry. Short Sorry Quotes To Use As Sorry Messages. May Be I Was Angry But I Was Childish, May Be I Hurt You But I Care For You! Dear Love..I Am Sorry. Trust means everything….but Once you break the Trust, Then the Sorry means nothing. How is it that your love so kind was blemished by my selfish mind? Please forgive me. Forgive me. If you can find it in your heart to forgive me, we can move on from fighting to getting naughty. You can make up a quarrel, but it will always show where it was patched. I’m sorry. What’s Done Is Done Make Room For The New, Forgive And Forget What Has Been Done To You, I’m sorry. Although I know that you would never cheat on me, my jealousy got the better of me. I am sorry. Every apology that I give to you is a written selfie: designed to be brutally honest and straight with you. I’m Sorry” doesn’t automatically fix everything. Apologies can’t fix a broken heart.